Just off Hoover Road in Hampstead is the community of Castle Bay, home to the Castle Bay Golf and Country Club. 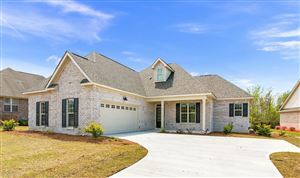 Built around a traditional Scottish links style golf course and protected wetlands, the homes in the community are afforded wonderful golf course and nature views. Located a short drive to Topsail Elementary, Topsail High School, and shopping, the community is just far enough away from Highway 17 to remain quiet. One of the first things visitors notice is the uniquely designed club house that looks like a miniature castle. It houses The King’s Table restaurant, which serves lunch and dinner. There’s also a well stocked pro shop, snack bar, and fitness room. Other community amenities include a swimming pool and tennis court with a variety of events, from pool parties to wine tastings, held throughout the year. The 18-hole championship golf course is uniquely designed without trees, but does include water hazards and sand bunkers. There is a practice green and driving range for refining the perfect swing. Plus, visitors can rent electric carts to take them around the fairways. There is a nice mix of modern brick townhomes and homes in Castle Bay. 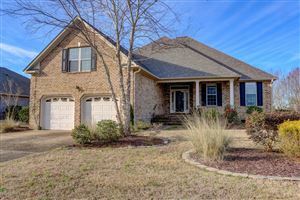 Features depend on the floor plan, but include granite counters, french doors, volume ceilings, a gas log fire place, garden tub, wainscoting, double vanity, formal dining room, screened porch, and more! Despite similar exteriors, each home is really quite different.